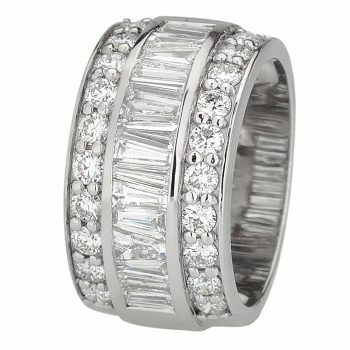 18ct white gold dress ring, channel set with tapered baguettes in the centre row and bead set with round brilliant cut diamonds on the sides. 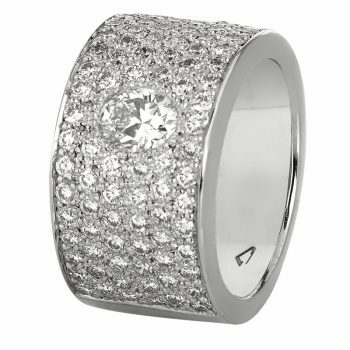 Also available in Yellow Gold and Platinum, other widths and with your choice of diamonds or coloured gemstones. The prices above are based on finger size N.